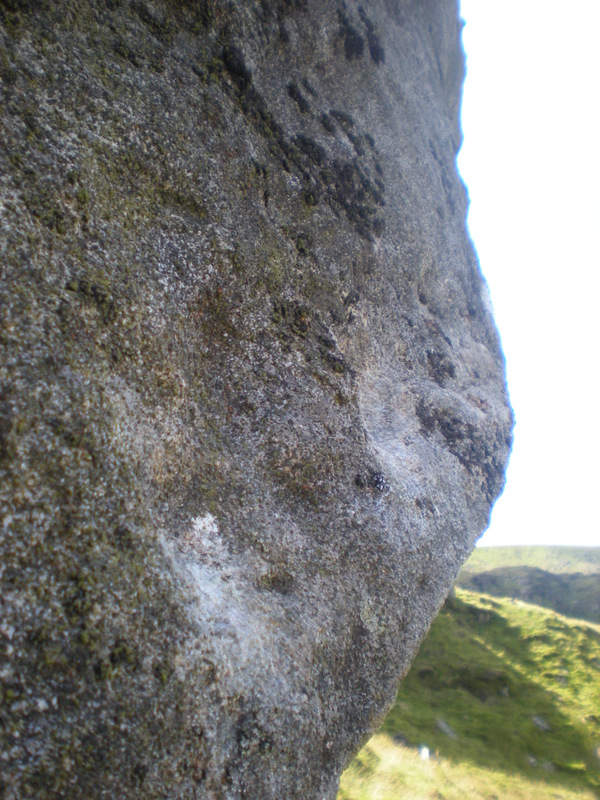 A photo of this problem appeared in the guide but didn’t give much details of the location. 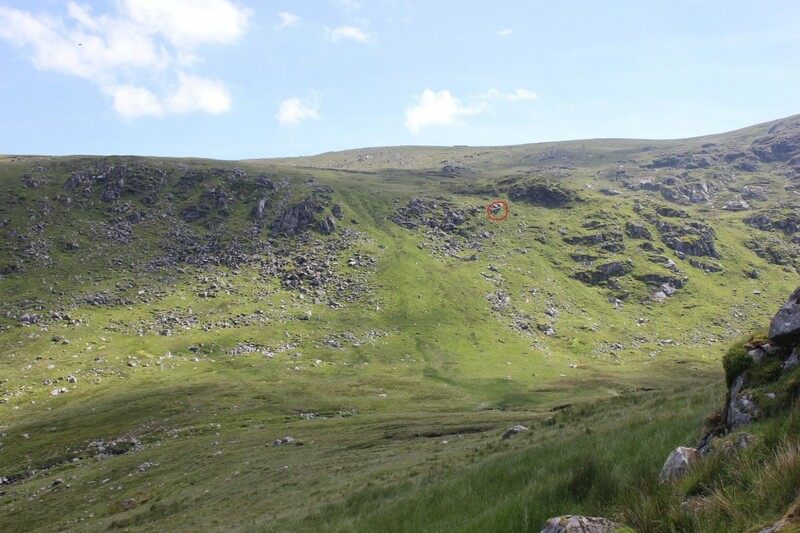 It’s lies above Fraughan Glen on the left side of the valley above the waterfall. It’s an amazing line up the left side of the very steep (maybe 55degrees over) wall. There are holds, beautiful small little dishes and it mightn’t be that hard but I can’t recall what the finish is like. This is an amazing line granted a good walk from the road. The landing is perfect. 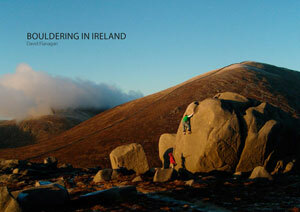 This one isn’t that obscure seeing as it appears in Bouldering in Ireland but it’s worth highlighting. 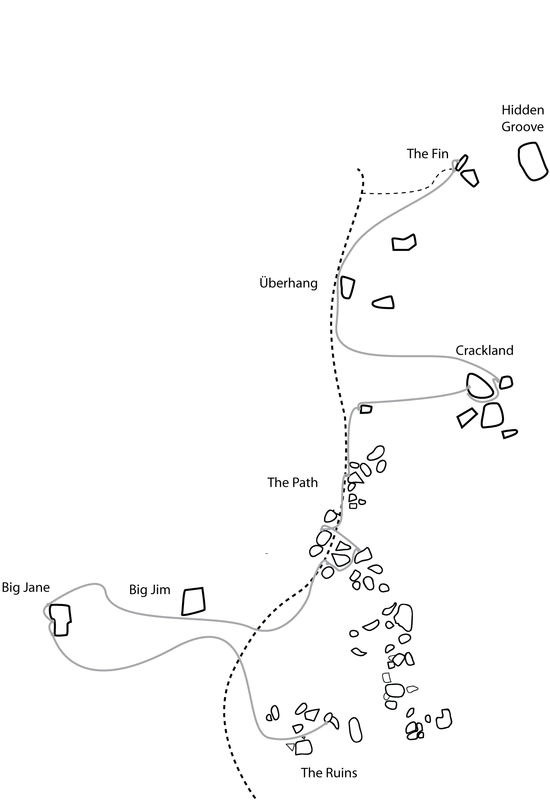 The Holiday boulder lie up the valley from the rest of the bouldering in Glendo, about 15 minutes walk past the Fin. There are a few reasonable easy problems but the standout line is the central groove. Slightly overhanging, it has a few holds and looks like it will be super technical, the landing is reasonable but a spotter would be useful as there is a block on the edge of the landing zone. This is a nice, not far off the beaten track but not in an established area either. I found this a good few years ago, I have been back once or twice but not recently. I’m highlighting one problem but there is plenty more to go at here. 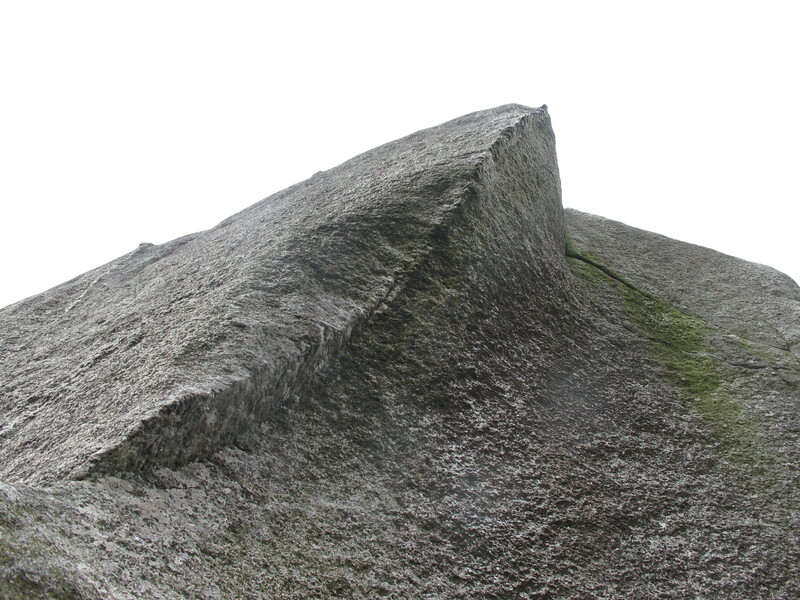 The problem is a slap to the big sloper and then another hard dynamic move/mantle to the sloping top. The landing needs a little work but will be perfect then and there is plenty of wood around to sort it. Two weeks ago I started the project giveaway. 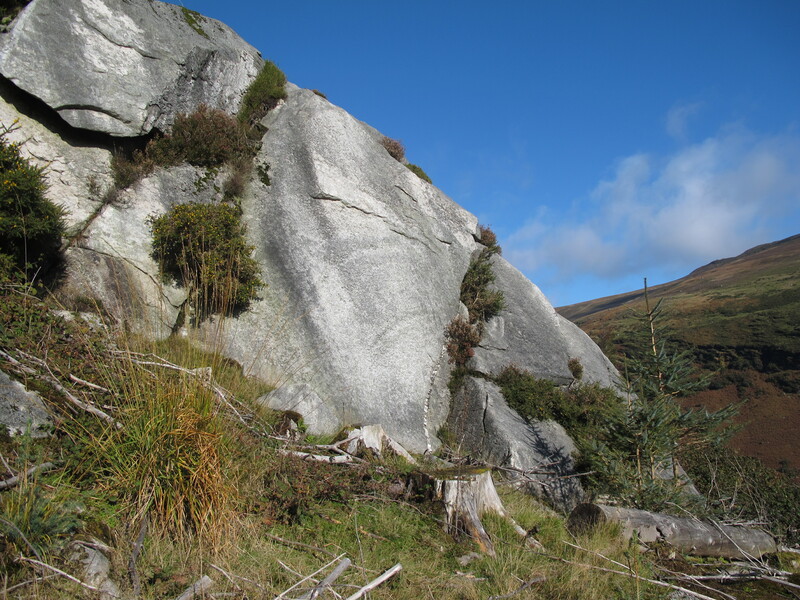 Every Friday I will post up a photo of an unclimbed boulder problem in Wicklow and give the location. I was in Font last Friday so am late with this (last) weeks. Anyway here it is. An immaculate concave slab of pristine granite in Mall Hill. 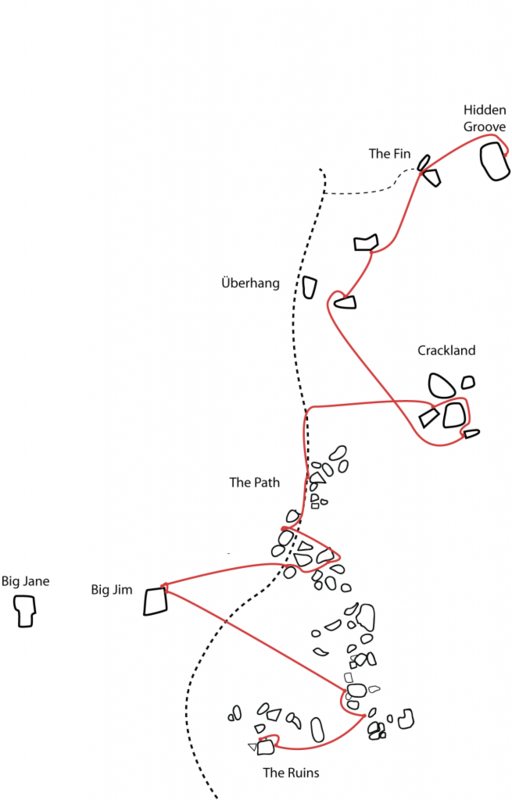 It’s just right of the main crag, it’s problem number 16 in the latest edition of the guide. It’s very smeary but the rock is top quality, could be very hard but might be just hard, it’s difficult to say with slabs. Ricky Bell’s video of the Potato Cave, details and topo yet to be released. 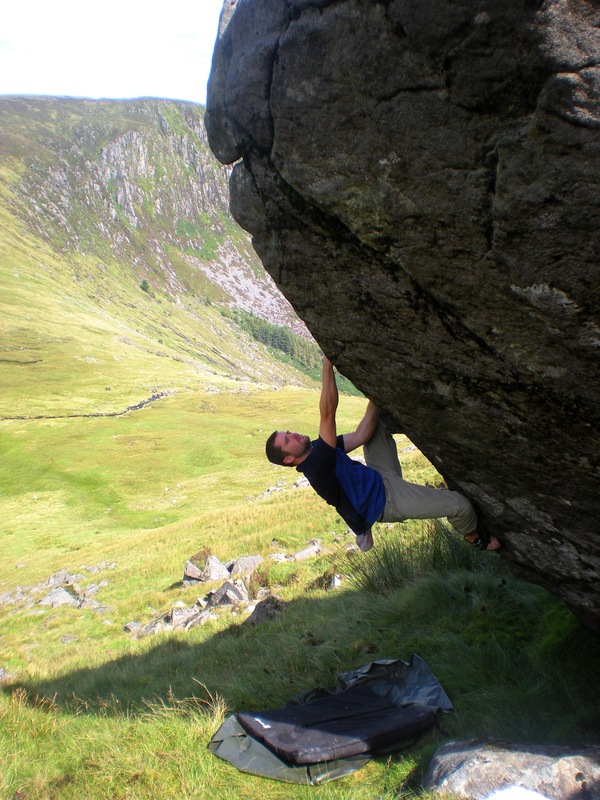 Late spring is the ideal time to start going some longer circuits outdoors, the ground is dry, there’s no midge and it’s a good way of training for trad climbing. The following four circuits are found in Glendalough. Of course there aren’t any arrows or markings on the rock so you will probably need the bouldering guide as a cross-reference. Buy it here. Basically a beginners circuit. 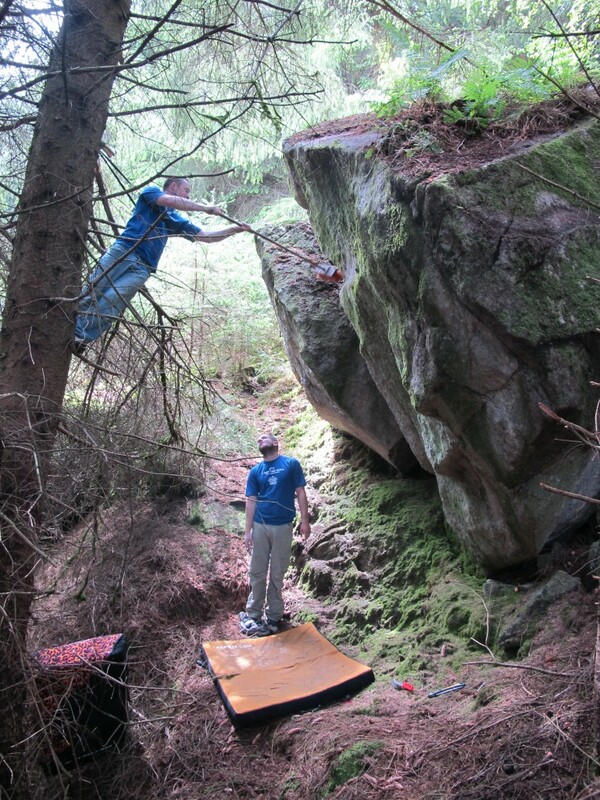 There is a variety of styles but none of the problems are too high or have bad landings. 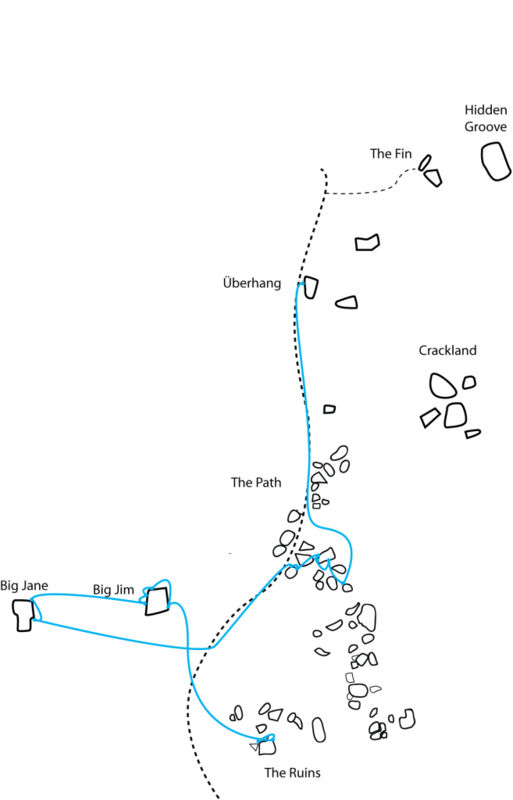 This circuit should test the average HVS climber to breaking point. Might be possible for a mere mortal to complete this. How about doing it in a day? 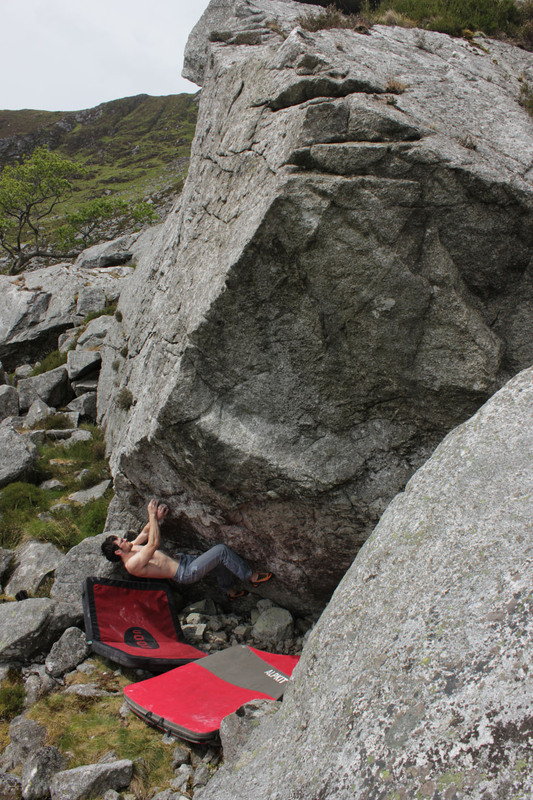 Rob on the first ascent of Red Cloud 7a. 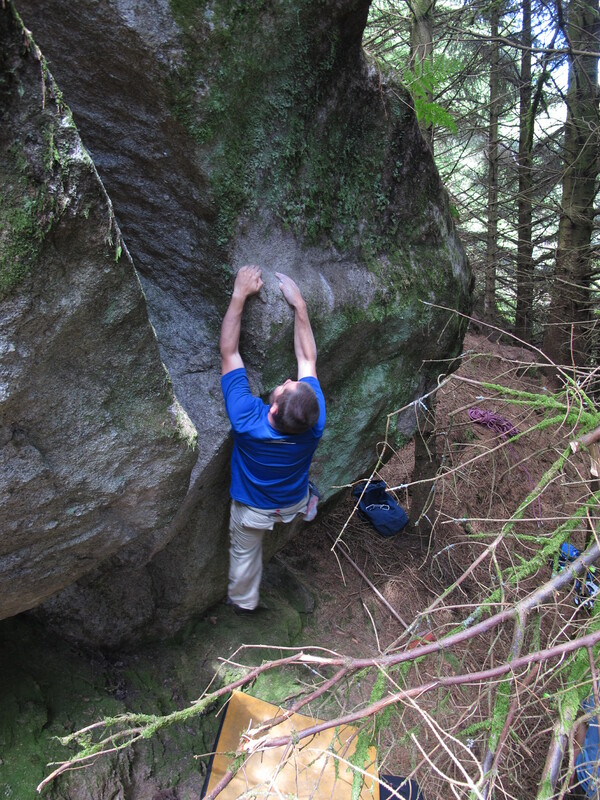 Rob Hunter (co-author of the Fairhead Bouldering Guide) has uploaded a video of some of the new problems he has been doing recently. 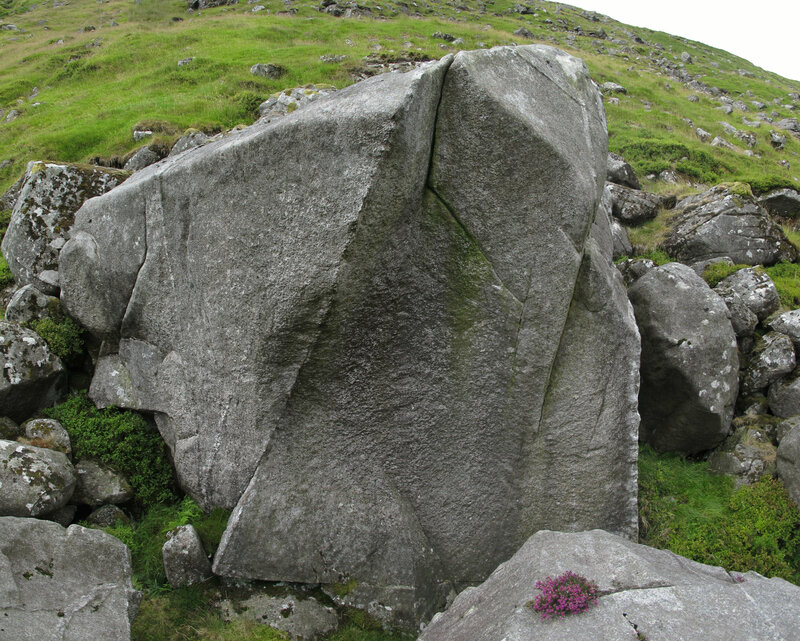 Plenty of new problems been done at the Head best place to keep up to date is at the Fairhead Bouldering Guide facebook page. 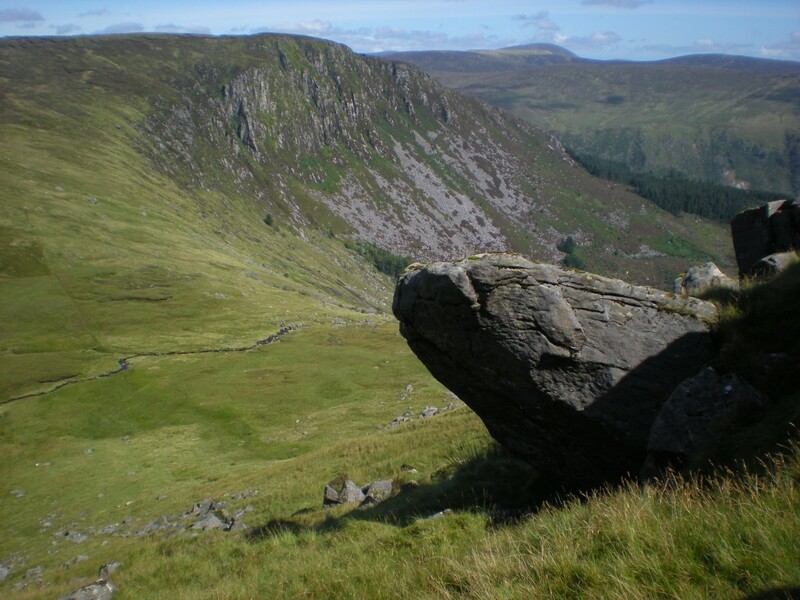 I have been to Lough Tay the last two days, yesterday I just took some crag shots and scrambled around the boulders, I found a few doable looking problems with decent landings and left keen to return. Today was so nice I just had to go back with shoes and pad this time. When you walk to the boulders from the lake the pretty much the first boulder you come to has a great problem that I did just over 12 years ago in January 2002. It’s a bit of tease as it’s one of the few problems with a decent landing in the whole place. Today I reclimbed this problem (must give it a name), it’s around 6a, did the arete just to the left and an easy problem on either side. I brushed a few other things that felt a little hard including this brutal one mover that revolves around a pair of opposing gastons. Inevitable I left slightly less full of enhtusiams that on the first day but that’s always the way. 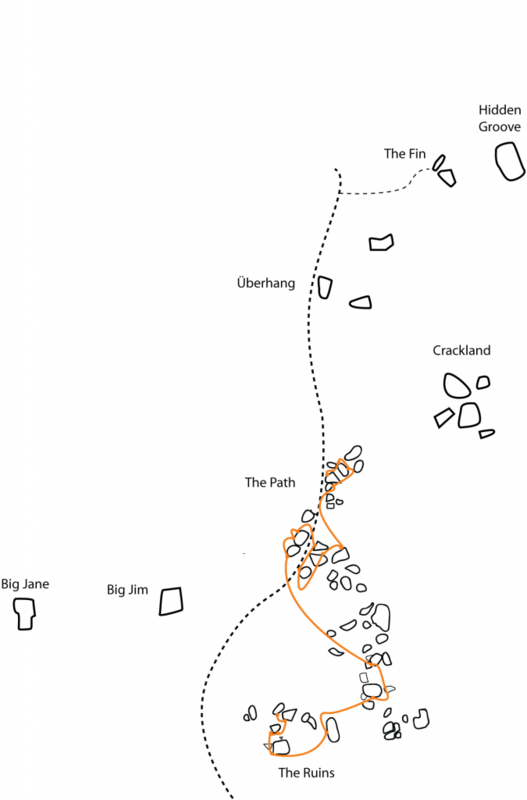 Over the years I have occisialted between f thinking Lough Tay has massive potential and dismissing it, the truth is probably somewhere in the middle. There has been a good bit of activity there lately. I saw lots of cleaned problems and I think it definitely merits a topo. There are definitely some good problems, including the amazing line in the photo above. A nice little video from Rob Hunter. Including his new problem Culfeightrin 7c+. Nice video by Jeremy Colandairaj.